Not too long ago, I started a new character as an alt to work on while I waited to transfer my main over from another server. As I’ve mentioned before, our guild decided to move from Vek’nilash to Thrall in the interests of getting a better pool of raiders to make better progress. We had our date of the move, but there was about a month or so of time in between. As I’ve also mentioned, I’m an altaholic, so I was quite excited about being able to start brand new characters and do the leveling experience again – even moreso with the changes coming in Cataclysm. I had a hard time deciding what class to work on. There were a few that I wanted to try, mainly ones that I had difficulty leveling or staying focused on in the past. 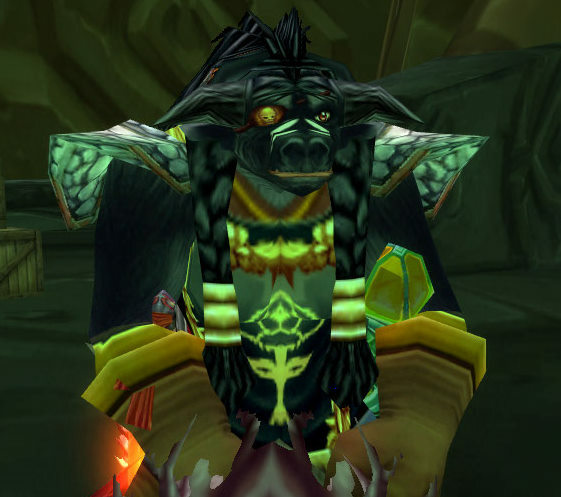 Ultimately, I decided on rolling a new Troll Shaman. As of right now, I think I made a wise decision. Currently, I only have three characters at level 80: a Druid, Paladin, and Shaman. For whatever reason, the hybrid classes seemed to be a good fit for me. However, I’ve only put significant effort into my Druid (currently my main) and my Paladin (a former main), while getting bored of my Shaman incredibly fast. This is quite disappointing, since I put a fair amount of money into him, getting epic flying and dual spec. If I would have known that I wasn’t going to stick with it, I most definitely wouldn’t have spent that extra 6000 gold. This time I’m doing things a bit differently. 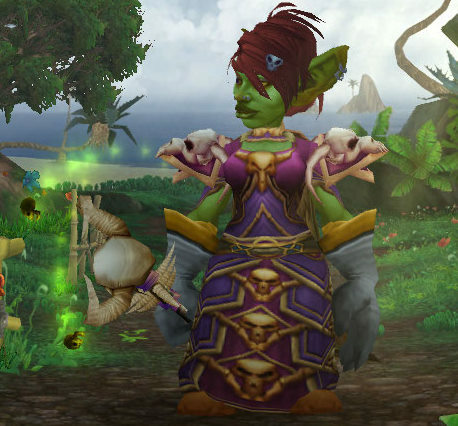 When I leveled my first Shaman, I had done it as Elemental with a Resto offspec, with the heirloom shoulders only. This time I’m doing it as Enhancement with no current offspec (but will eventually do a Resto offspec), with both the heirloom shoulders and chest, as well as two heirloom maces. I had gotten to the early 30s without any heirlooms, since I was waiting to transfer things over from the old server, and even while doing that I found it to be incredibly fun. Once I was able to get the heirlooms over, along with patch 4.0.1 hitting, I went from doing decently to hitting like a truck. I was able to kill elites who were four levels higher than me and barely needing to heal myself afterwards. 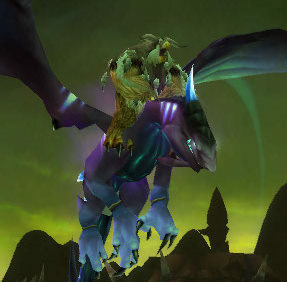 I’m currently level 44 going between Tanaris and Feralas, and still having a great deal of fun. So far the only thing that I’m not particularly liking is the lack of cleansing. 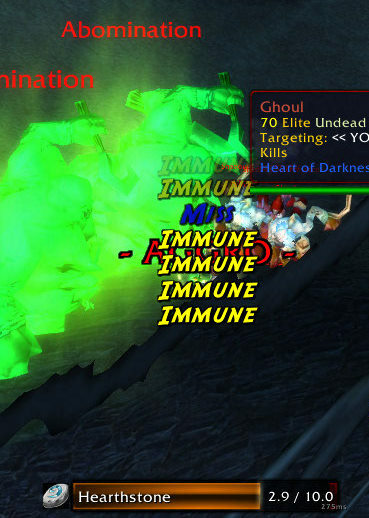 I miss being able to have a poison and disease cleanse while being Enhancement, which made leveling even easier. Blizzard recently announced some changes to damage dealt at the lower levels, as they say it’s currently a little overpowered. As much as I hate to say this, I agree completely. That being said, I’m certainly not complaining about it at all. As long as I can continue to solo elites, I’ll be one very happy person. Trying the Shaman again was a big experiment. I wanted to have a character who was versatile and not locked in to one role, but was able to do well at whatever spec I chose. Enhancement is definitely a winner in the new talent tree revamp. This experiment has gone well, and I look forward to continuing it.